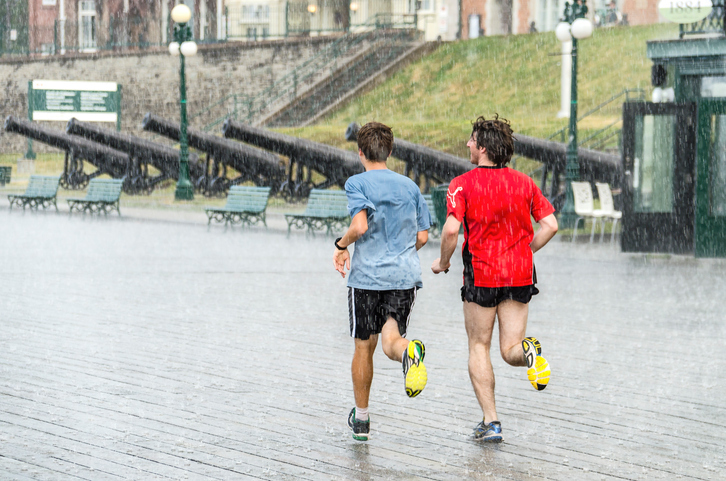 Even though it was raining, they went for a run. We use even though when we are talking about two things happening that don’t usually happen together. For example, if you do something even though it’s raining, it means that you are doing something that people don’t usually do when it’s raining. We can use even though at the start or in the middle of a sentence. We went to the beach even though it was raining. Even though I don’t like fish, I eat it sometimes. We use as though after some words like look, feel and seem. When we use as though after these words, it has the same meaning as like. The spellings of tough, through and thought are very similar, but we say them very differently! You can listen to the pronunciation by clicking on the words. Do you know the song “Smile” by Nat King Cole? The song starts with these words: “Smile though your heart is aching.” This means that it’s better to smile even though you’re sad (though can have the same meaning as even though). What are the next words in the song? There are other meanings of though.